We camped out on the lawn last night. It was a perfect day for a campout. It rained just a tiny bit in the night, as it did the night before. 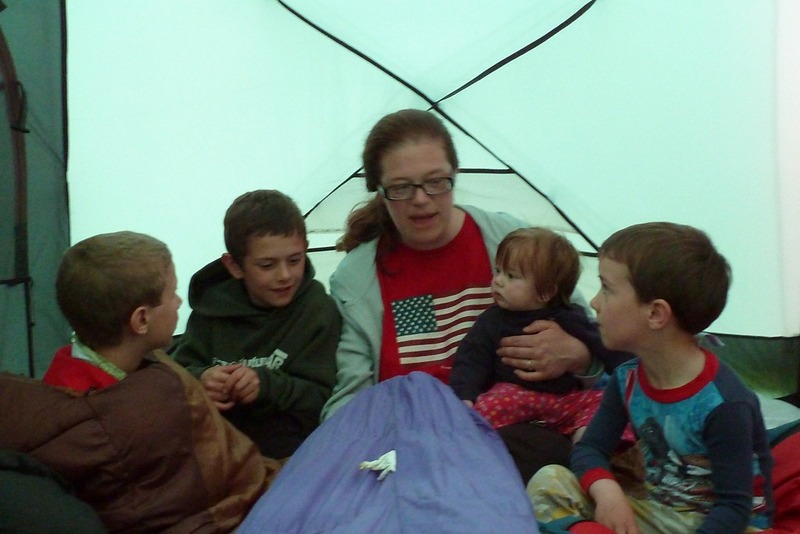 Bible story time in the tent. 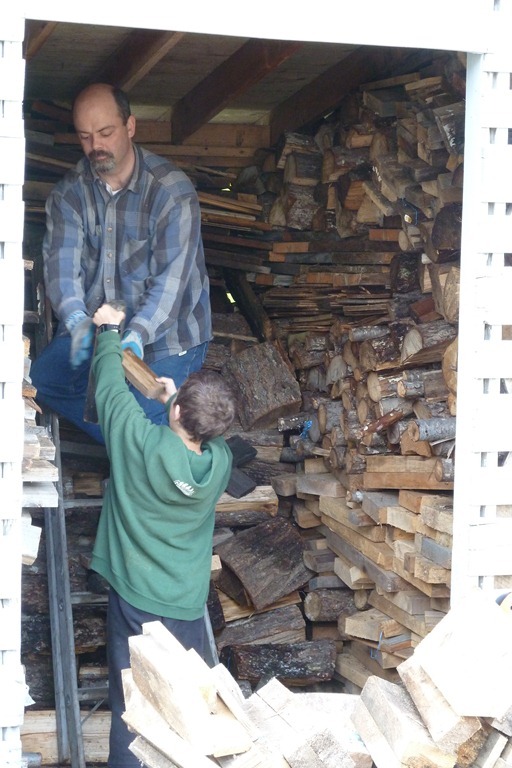 On Sunday, we put away the rest of the wood in the shed. 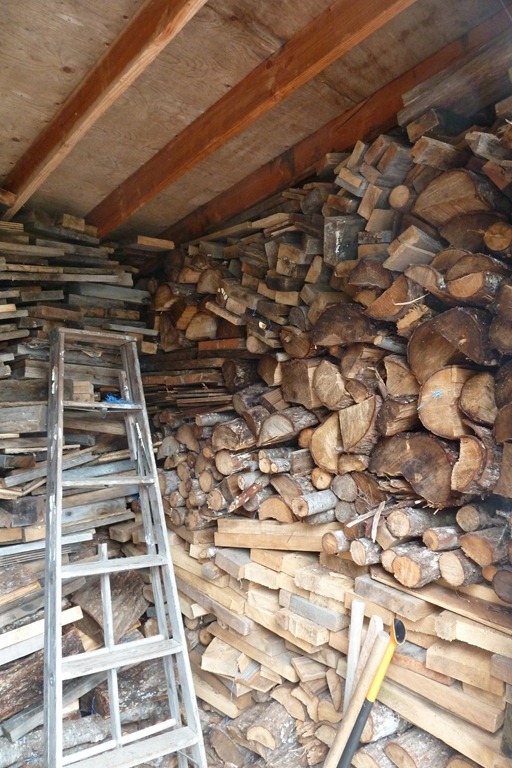 The wood is a mixed bag: some lumber, some split wood some rounds. But mostly it’s pretty dry. We’d load up the wheel barrel and then stack it in the shed. 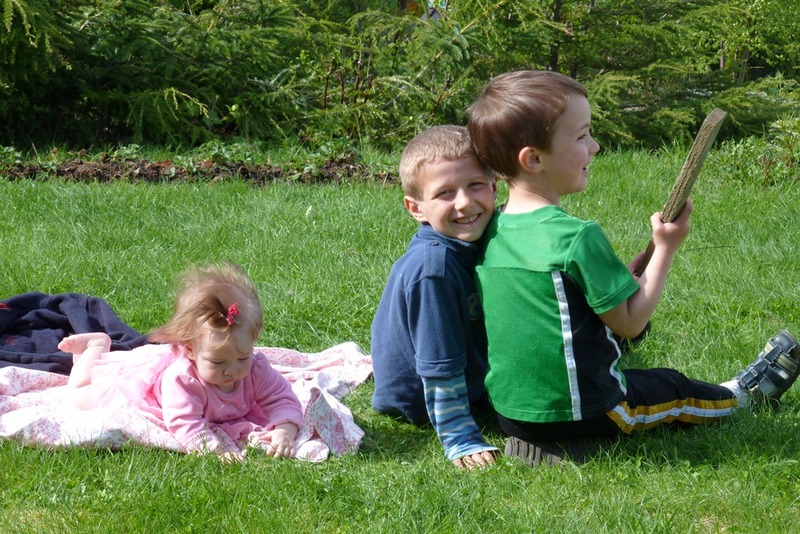 Luke and J.C. played in the yard with Meg and kept her happy. Mark was a real champ, sticking with me to the very end, even after a board with a nail on it dropped on his head for some serious pain—a bit of a goose egg, but no blood. 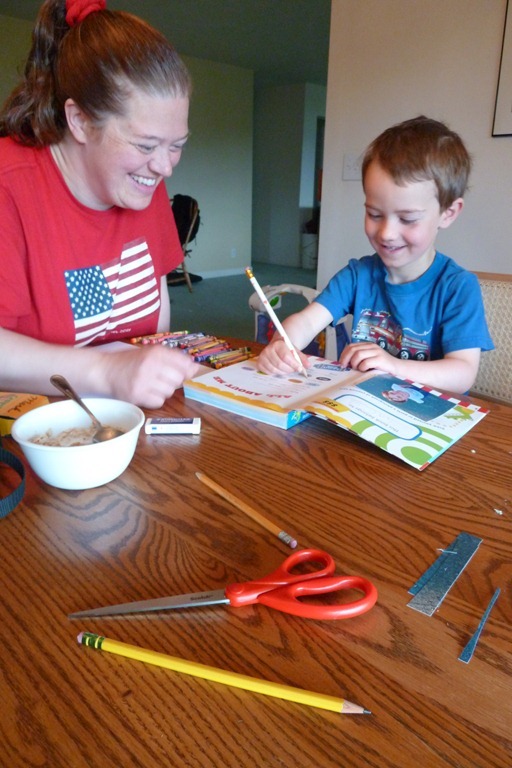 This morning on Memorial Day, we started off the day with summer school, six pages in each of the books. 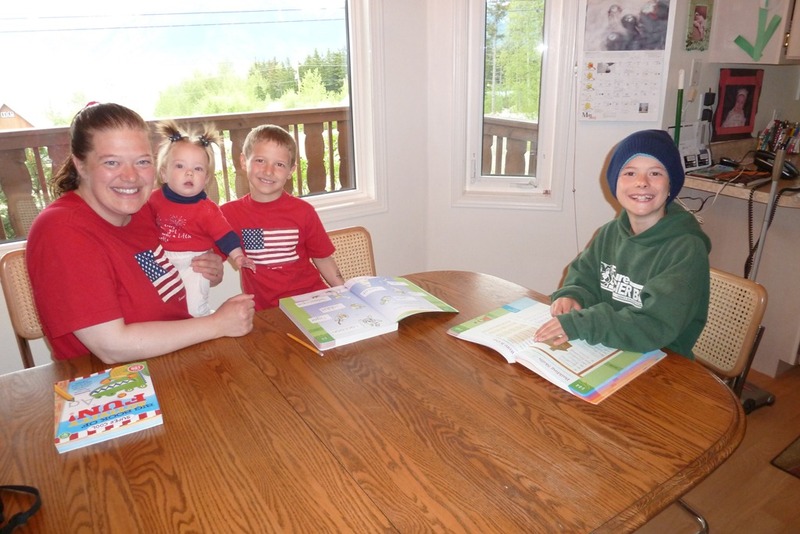 Mark is doing a 4th grade book, Luke is doing a 1st grade book, and John Caleb is doing a Preschool book. The boys are wearing their patriotic shirts today. What a great post! 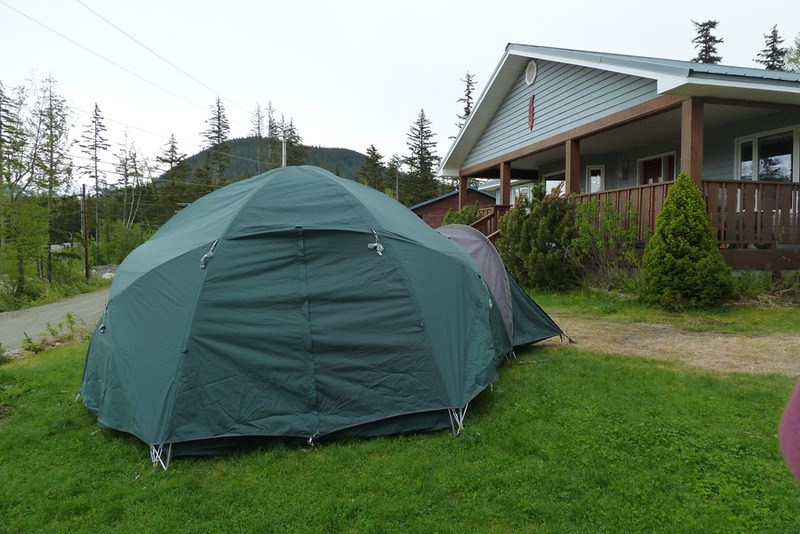 We were just talking the other day about camping in the yard. thats awesome! 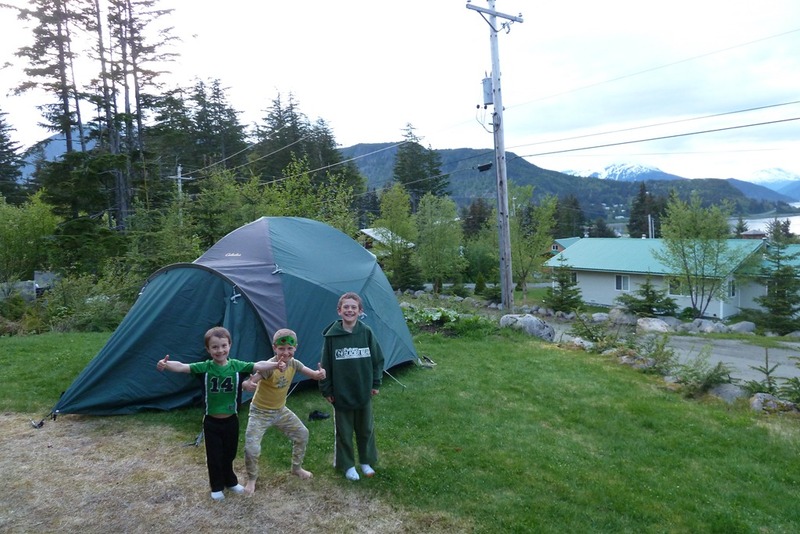 did the whole family stay in the tent or just the boys? Meg’s hair is getting so long! I LOVE it! I love YOU guys! looking forward to baptism post! I’m glad you guys are getting this summer school thing all figured out for me so that I can just do what you’re doing by the time our cuties are old enough for it! 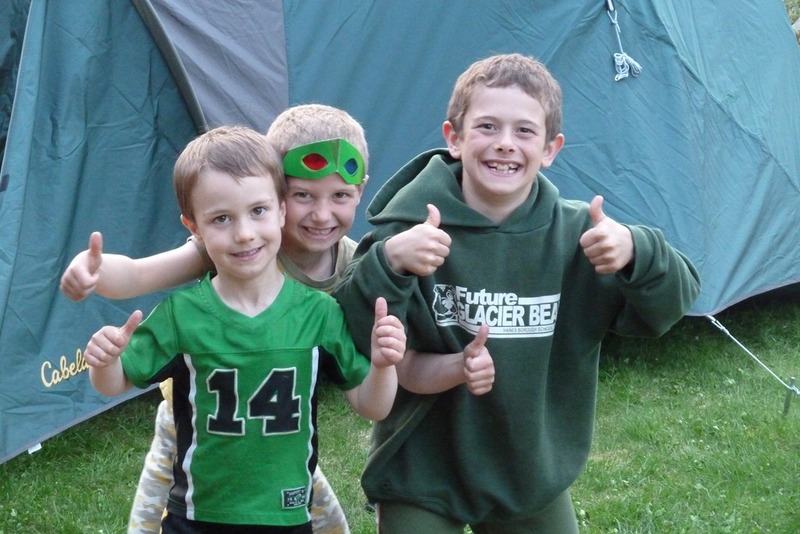 Also, I didn’t mention it before, but i really like the picture of the 3 boys doing “like!” super cute. And I still like Meg’s hair even though I already said it in the last comment. Looks like Meg is going to rock our kids’ world in the hair department. our sweet tinies only have tiny wisps of hair encrusted with halos of cradle cap! ha!